Are the country’s bonds the new asset du jour? Following the Chinese central bank’s unexpected cut to banks’ reserve ratios last week, investors are again worrying about the fault lines in China’s economy. But for one asset class, that discordant note was music to the ears: Chinese bonds, which are on a tear. After a brutal 18 months of Beijing-led “deleveraging,” high-rated bonds notched their best performance since late 2015 in the first quarter of this year. 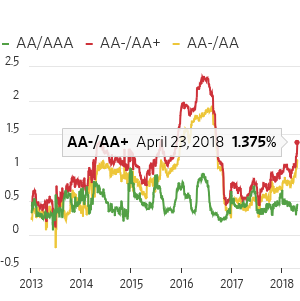 Yields on one year AAA-rated corporate debt are down nearly a full percentage point since December, having taken another leg down since the central bank’s move to cut the ratios. 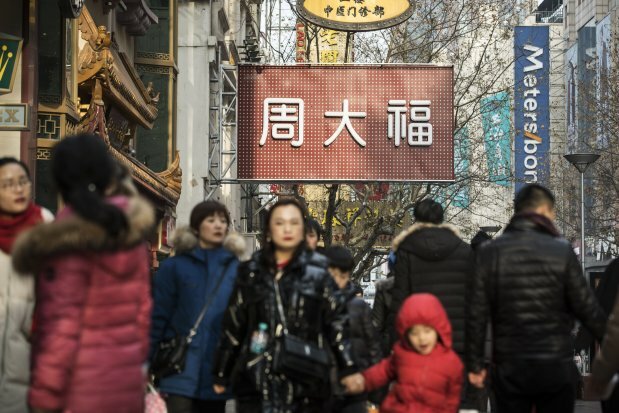 The rotation into bonds, driven by weakening inflation and signs of easier liquidity, has already sucked cash out of “old economy,” inflation-dependent Chinese equities: China’s benchmark CSI300 is down over 10% since late January. But a sustained bull market in high-rated bonds isn’t yet a sure thing. And spreads on low-rated debt are starting to edge higher, signaling the return of worries about credit risk. Consider what happened last time the People’s Bank of China launched an easing cycle, in late 2014. Long yields did eventually fall—but only after a monstrous liquidity-fueled stock market bubble popped in 2015, helping trigger a yuan panic and stomach-churning capital outflows. China’s central bank might have better luck pushing down yields this time without inflating bubbles elsewhere or driving capital out of the country. Following the disaster of 2015, regulators have tightened rules both on stock margin lending and capital controls. That means more liquidity from future easing could stay parked in bonds. And unlike 2015, China isn’t force-feeding investors gargantuan helpings of municipal bond debt, putting upward pressure on yields. Nevertheless, Chinese investors are past masters of finding new assets for speculation when central banks suddenly start handing out cash. One new bubble candidate? Shares relates to Chinese chips. Shenzhen listed Unigroup Guoxin and Nationz Technologies Inc. both jumped over 20% last week following the U.S. decision to ban semiconductor sales to Chinese tech champion ZTE. Chinese investors are speculating that the move will ignite a chip-funding boom at home. China’s capital controls will also face a renewed test this year if the Federal Reserve keeps hiking rates. Investors tempted to add some Chinese government bonds or high-rated corporate debt to their portfolio might be wise, therefore, to wait and see if the regulatory blitz of the past 18 months has really created a watertight ship— or if, as before, the water will start finding its way into unwanted places.